When planning a trip away from home, there's enough to do without worrying over the care of your beloved companion. This is especially true if your dog or cat has a chronic or acute medical condition or needs medication that requires a caregiver with veterinary knowledge and experience. Our pet boarding facility at Animal Hospital on Route 66 was designed with your pet's comfort, health and safety in mind. While staying with us, your pet will enjoy our clean, temperature-controlled boarding area, personal attention and supervision by our experienced staff and exercise three times daily. 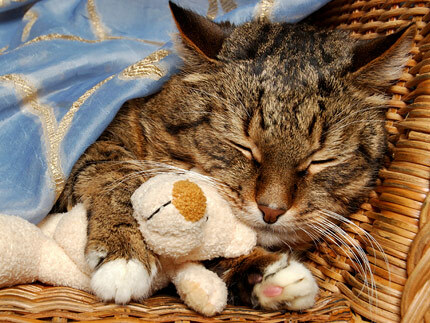 For your pet's complete comfort, special toys, blankets and food are welcome. Our complete grooming services are also available during your pet's stay. For your convenience, you are welcome to drop your pet off any day except Sunday and pick-up any day of the week. Please call to make your reservation today! We require that all boarders be up-to-date on their vaccinations. All canine boarders must be vaccinated for Distemper, Rabies and Bordetella. All feline boarders be vaccinated for Distemper and Rabies and test negative for Feline Leukemia. Animal Hospital on Route 66 is happy to offer full-service grooming, including bathing, conditioning, and blow drying; brushing and combing your pet's coat; checking for infections and parasites; trimming long-haired pets if needed; nail trimming; and ear cleaning. 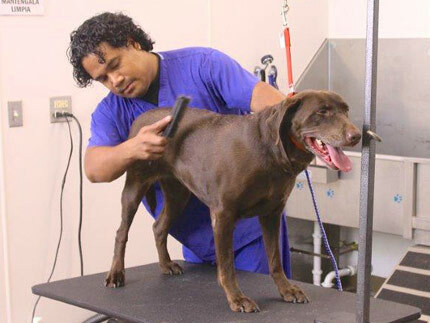 Our gentle techniques are designed to ensure your pet feels comfortable and relaxed during his or her grooming appointment. To learn more about our boarding and grooming services, please give us a call at (708) 669-6666 today!